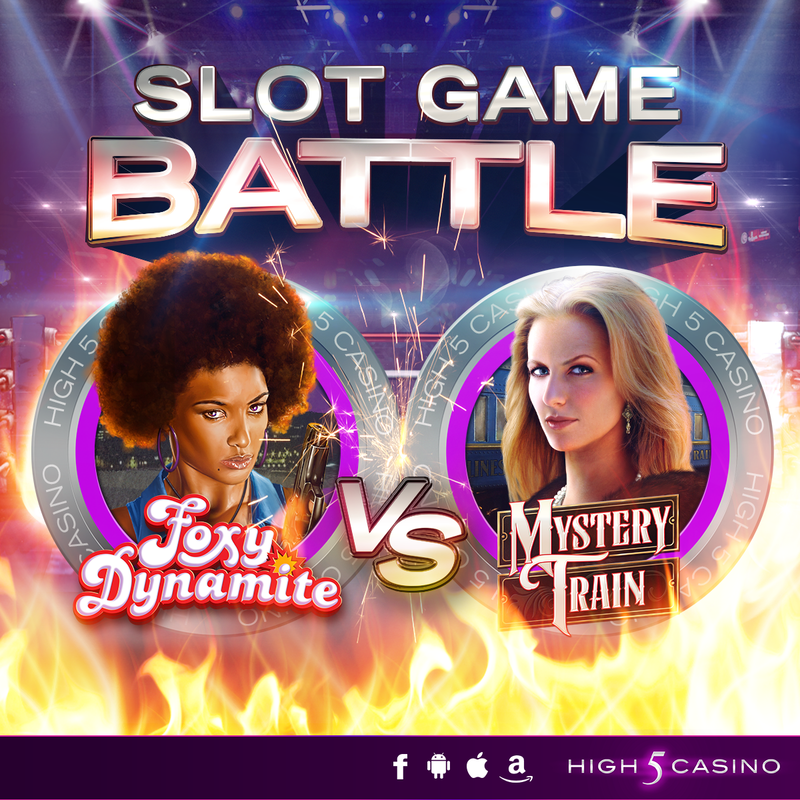 Slot Game Battle: Mystery Train vs. Foxy Dynamite! There’s a mystery going on in town and we want to know who you’d call on to solve it! You get a phone call from the Mayor in need of your help. Frantically over the phone he tells you “I can’t find the key to the city! It was in its lock box and now it’s gone!” After jotting down where the last place the Mayor saw the key, the last time it was used and other facts you start to think, something is just not right. As you reassure the Mayor that you’ll help him find the key to the city, you begin to collect your thoughts…Where do I start? How am I going to solve this? The key to the city… who would take such a special artifact? You jump right on the job! Grabbing your bag you set out to do some recon, looking for clues in your little hometown. When you get outside, an eerie feeling consumes you, something feels off. Looking around watching each step you make, in the distance you hear a train horn. That’s interesting, you think, these tracks don’t get used anymore…You hear it again and it appears to be getting closer and louder. You run to the train tracks and see an Empire Rail Train pulling around the bend and slowing down to stop at the station. This train hasn’t made stops here in years something is NOT right. A feeling comes over you, the last time this train stopped here was right before all those people mysteriously disappeared. You reach for your phone. Then there is Foxy Dynamite. You were just getting ready to call Foxy and her groovy skills to help you solve this mystery. No one gets the job done quite like her. She catches the crooks and still makes sure to have time to dance the night away while looking fabulous! She took down a whole group of troublemakers in her neighborhood, she sure could help solve this mystery. But now you have a famous detective who solved one of the country’s greatest mysterys. Who would you want to help you solve this case, The woman in The Mystery Train or Foxy Dynamite? Comment in the conversation bubble located on the top right corner of your screen and let us know! This entry was posted in High 5 Casino, High 5 Fight Club, High 5 Games, High 5 Moments, top games and tagged App Store, Apple, Facebook, Foxy Dynamite, Free Games, game battle, Game Spotlight, game vs. game breakdowns, High 5 Casino, High 5 Casino Mobile, High 5 Games, iOS, iPad, iPads, iPhone, iPhones, mobile gaming, Mystery solving, Mystery Train, slots, social gaming by hoothigh5. Bookmark the permalink. I would ask both of them to work together on the case. Usually two heads are better than one. FOXY LADY GETS MY CALL. AT LEAST SHE HAS A GUN TO ROUND UP THE BAD GUYS, WHAT IS THE MYSTERY TRAIN LADY GOING TO USE, A BLOW DRYER AND FINGERNAIL FILE???? I would ask the blonde bombshell for help. Since she did solve one mystery before AND it just might turn into somethng else. Sorry. I don’t like either of these games. I choose Foxy Dynamite because there is no MYSTERY about her, She is a straight shooter about all cases and a great detective.